What Drives Cancer from an Evolutionary Perspective? Your contributions will support the continued research of Dr. Ying Xu, of the University of Georgia, as he works towards a fundamentally new understanding about the roots of cancer. Donations will fund the necessary costs for personnel. Ideally, Dr. Xu could bring on three postdocs to his team at $90K each per year. In choosing to donate you would play a role in supporting future scientist’s educations while finding ways to treat cancer at the root level. Despite over forty years of very intensive studies since the inception of the “War on Cancer” in 1972, we have yet to produce enough of an understanding about the disease and offer highly effective treatments for many cancer cases, particularly when a cancer reaches an advanced stage. Mainstream medicine has been treating cancer by killing cancer cells through recognizing characteristics of such cells, in addition to their surgical removal. Such a strategy often suffers from drug resistance and cancer recurrence after the initial period of effectiveness, typically ranging from a few months to a year or two. A fundamental reason for this ineffectiveness is that the vast majority of the current treatments aim to kill dividing cells rather than stopping the conditions that lead to rapid cell division, or the development of a cancer. This is true even for cancers whose causes are believed to be understood. For example, it is believed that chronic myelogenous leukemia (CML) is solely caused by the Philadelphia chromosome; and drugs have been designed to stop the activation of the mutated genes. And yet relapses of the illness often happen. Dr. Ying Xu, of the University of Georgia, takes an alternative perspective on tackling cancer. He applies the general principle of Darwin’s Theory of Evolution when studying cancer initiation and progression, which can be summarized as: organisms evolve to adapt to or overcome stresses induced by (unfamiliar) changes in their living environments, through selecting certain genomic mutations. He posits that (sporadic) cancers follow the same principle, and is trying to understand what stresses have been induced in the living microenvironments of the affected cells, which are ultimately responsible for the formation, as well as the clinical characteristics such as rapid vs slow growth, easy vs hard to spread, and large tumor vs diffused tiny tumors of a cancer. In his theory of cancer (see his Publications), genomic mutations are facilitators of cancer evolution while true drivers come from stresses induced by changes in the local tissues, including certain types of chronic inflammation (due to infection, exposure to certain chemical agents or persistent unhealed tissue damage), gradual accumulation of free radicals (due to radiation, certain genomic mutations and aging) and some autoimmune responses. Studies of cancer-inducing stresses present in a tissue environment have not been possible until very recently when large datasets of high-throughput data (referred to as omic data) collected on cancer tissues (NOT cancer cells studied in culture plates) have been generated and made publicly available. Figuring out the stresses present in a cancer tissue requires rather sophisticated analysis techniques. Previous studies on cancer have been largely done using cancer cells or animal models, which typically do not have the same cancer-inducing stresses as detected in actual cancer tissues. Dr. Ying Xu believes that his lab is probably one of the very few groups, if there is any other group, in the world, which studies cancer as an evolutionary problem driven by certain microenvironmental stresses. The focus of his lab has been in identification and characterization of such stresses and understanding the mechanisms of how such stresses drive cancer initiation, progression and metastasis. Using the large amount of high-throughput cancer tissue data, Dr. Xu and his team are able to study how stressors drive the underlying cells to become cancerous through evolution. This rich combination between their unique perspective on causes of cancer and the mining and analysis techniques of very large quantities of cancer data allows Dr. Xu to address a series of very challenging cancer questions. His team has proposed a number of driver models for cancer initiation and post-metastatic explosive growth of cancer. 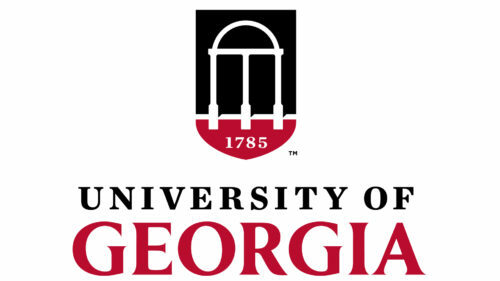 Currently Dr. Xu runs two labs spanning two continents, with labs at the University of Georgia and in China, which brings together a unique team that is passionate about restoring health to the many people affected by cancer globally. Dr. Xu’s new way of approaching cancer research has already yielded exciting results and Dr. Xu expects for future studies to continue to build upon the basic causes of cancer! Cancer Bioinformatics: Dr. Xu and his team recently published a monographk, titled Cancer Bioformatics, to summarize their views about cancer and how they study the drivers and mechanisms of a cancer evolution through mining cancer omic data. For example, Dr. Xu has found that it is oxidized cholesterols that drive the explosive growth of metastatic cancers in general. The Mechanisms Behind Cancer: Dr. Xu has many studies on the drivers and mechanisms underway including, cancer initiation, progression, metastasis, and post-metastatic development. Using data mining of cancer omic data in the States in addition to further validating his research with mouse models in China, Dr. Xu and his international team study the many stages of cancer development. Three Negative Breast Cancer and Prostate Cancer: Dr. Xu and his team are studying the main drivers for specific types of cancer. Specifically, he and his team are working to identify the fundamental mechanisms behind the progression of three negative breast cancer and prostate cancer. Dr. Ying Xu was born to a family of two very dedicated chemists who were also university professors. Therefore, becoming a scientist was a natural career path after he graduated from college. While his training is in Computer Science, he got involved in the human genome project to identify protein-encoding genes in a human genome using statistical and computational techniques when he joined Oak Ridge National Lab in early 1993. This also marked the beginning of Dr. Xu’s bioinformatics career. Over the years, Dr. Xu gradually evolved from a computational tool builder for solving biological problems to a computational biologist who asks biological questions using computational techniques and high-throughput biological data. Over the past 22 years, he has worked in a number of different research areas including computational identification of genes in human and other genomes, protein structure determination using statistical and computational techniques, study of fundamental properties of bacterial genomes, and modeling of complex behaviors of bacteria. Since 2007, he has been working mostly in cancer systems biology. Aside from his busy 70-80 hour workweek, Dr. Xu keeps a rigorous workout schedule. As an avid long distance swimmer, he swims about 1500 meters each evening and also is sure to save time to walk his dog.